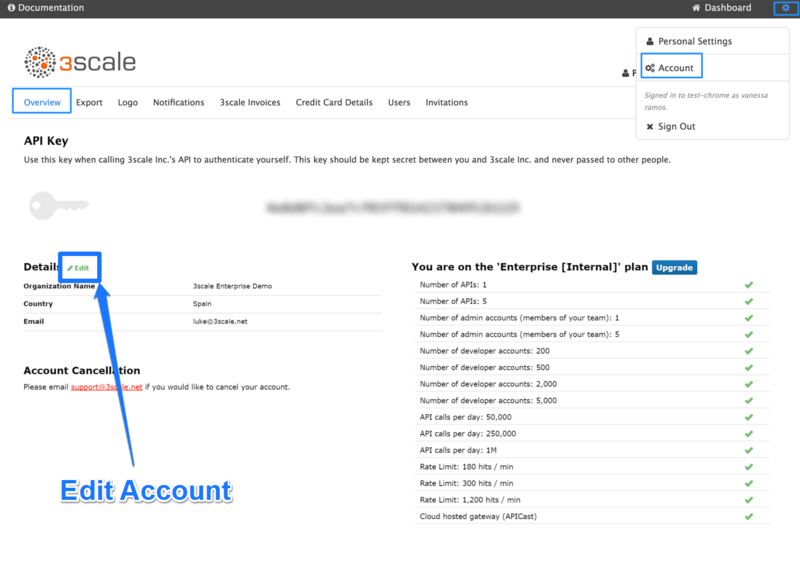 After creating your account, update basic information about your company. 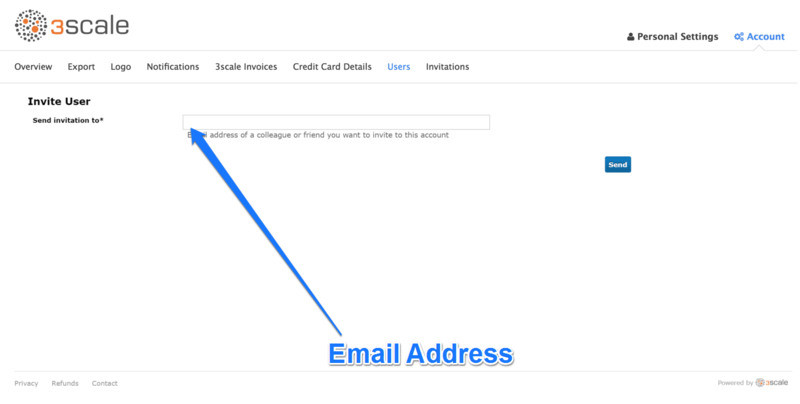 Set your location, contact information and add your company logo to the admin dashboard. To change the standard logo on the dashboard, head to the settings area of the portal. In the Logo section, upload a new file. This will be the logo that appears on your internal 3scale dashboard, but it will not affect the Developer Portal in any way, unless you use the "logo". On the Admin Portal top navigation bar, click on the gear icon and then on Account on the top righthand side. Select Users from the submenu. Members: Which have limited access to areas of the product (e.g. Analtyics, Developer Portal) and, if you’re an enterprise customer, also to services. Subscriptions are personal and can only be modified by the person receiving those notifications. In order to edit your subscritpions, go to Personal settings> Notification preferences and check the notifications you’d like to receive. 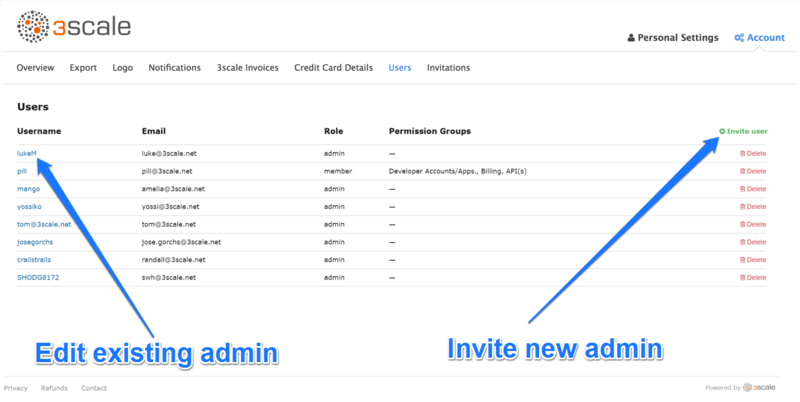 Access tokens can be created on the tokens page. To access the tokens page, click on the gear icon in the upper right corner of the page, followed by Personal Settings > Tokens. Service tokens are used to authenticate against 3scale Service Management API. Service tokens are generated automatically when a new service is created in 3scale, and are unique per service. 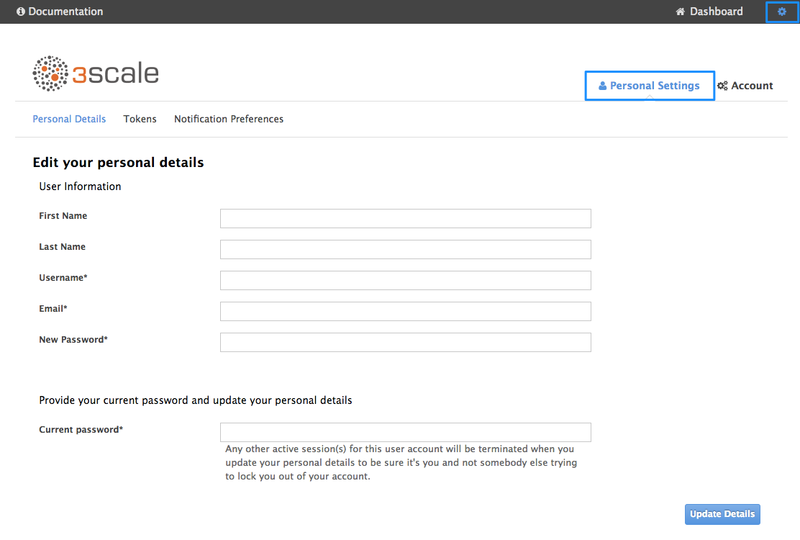 They are shared among the users of the 3scale account, and the service tokens for the services that the user has access to can be found in Personal Settings > Tokens section of the admin portal.